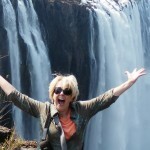 My trip to Zambia was everything I dreamed of, and more. I am so grateful to Tom and Laura for pouring their energies, talents and hearts into constructing a thoughtful itinerary of unforgettable and profound experiences. 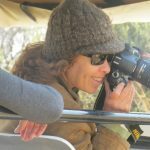 Imagine going from a day of awesome safari adventures — getting up close to majestic animals in nature — to a day of genuine exchanges with incredible resilient local people, learning about the challenges they face, sharing a traditional meal of nshima eaten with your fingers, and finding yourself singing and dancing joyfully together. I loved that we often felt less like tourists than visitors on a cultural exchange. The whole trip unfolded in a magical, organic way, under the caring and competent guidance of Tom and Laura. 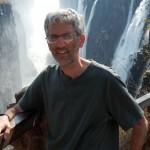 Our total immersion in these environments would not have been possible without Tom’s extensive connections, insights, and knowledge of Zambia. Add in Laura’s enthusiasm, sense of fun, compassion and thoughtfulness, and you have the perfect guides for a rich, life-changing journey. 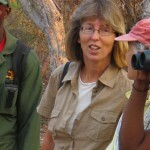 The Open Heart Safari trip to Zambia and Botswana far surpassed any thoughts I had of what the trip might be like. I expected to love seeing the animals, but the connections and experiences Tom was able to create with the people of these countries was life changing. For me, I have renamed the trip Full Heart Safari. It was eye-opening and heart-opening and amazing in every possible way. Although I was ambivalent about traveling in a group, I am completely convinced that any trip I could have planned on my own would not have had the depth, richness, or fun I experienced going with Open Heart Safari. Many thanks to Tom and Laura for truly providing a once in a lifetime opportunity. I feel incredibly grateful, and I don’t say that in a light way. It’s such a crazy experience to see a wild leopard just a few feet from your jeep – it was so magnificent & moving, I almost cried. 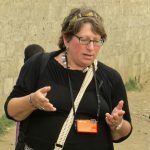 And spending a day in a slum in the capital & seeing the way the people lived & really feeling like we made a contribution & connecting with local people there – that was also very moving. It’s hard to know what to do with feelings like that – it’s so much more intense than my daily life here. So having a close group that I could process that stuff with & talk it over & share how we each experienced things & how we were feeling made a HUGE difference in my time there. 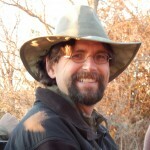 From day 1 our group really opened up to one another and experienced a heartfelt connection, which Tom was instrumental in initiating. So often on the trip I thought how grateful I was to be with this group and that I wouldn’t want it any other way. 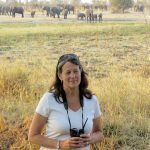 The itinerary was a great mix of spending time with spectacular wildlife in beautiful national parks, and then spending time with local people in various settings. The food & the lodging were both over & above what I expected. The food was incredible. I’m a vegetarian & my dad’s a meat eater & we both were really happy with the food choices. Tom and Laura did a wonderful job leading the group. 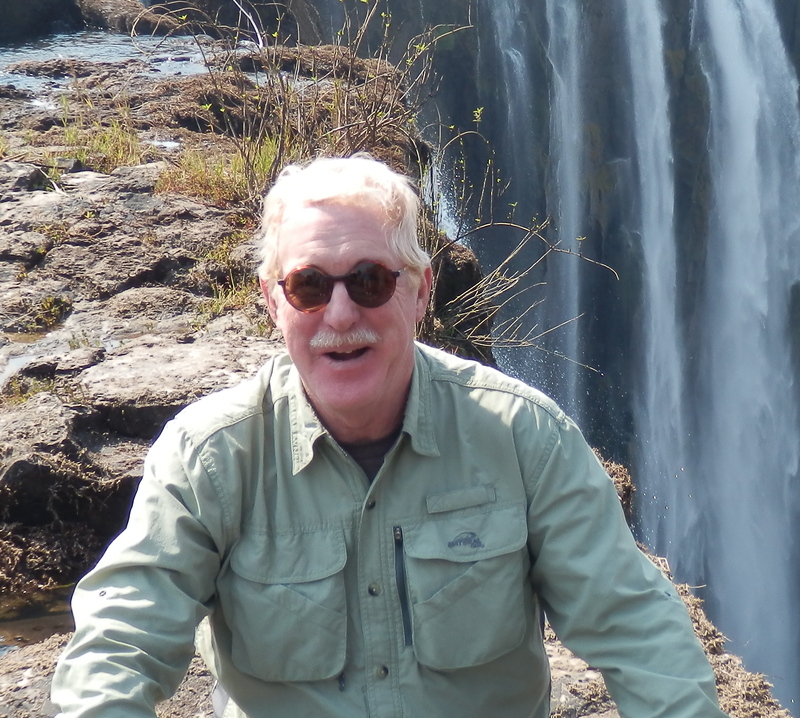 Tom is incredibly knowledgeable about Africa and the animals we were seeing (and the guides in the national parks were exceptional too). 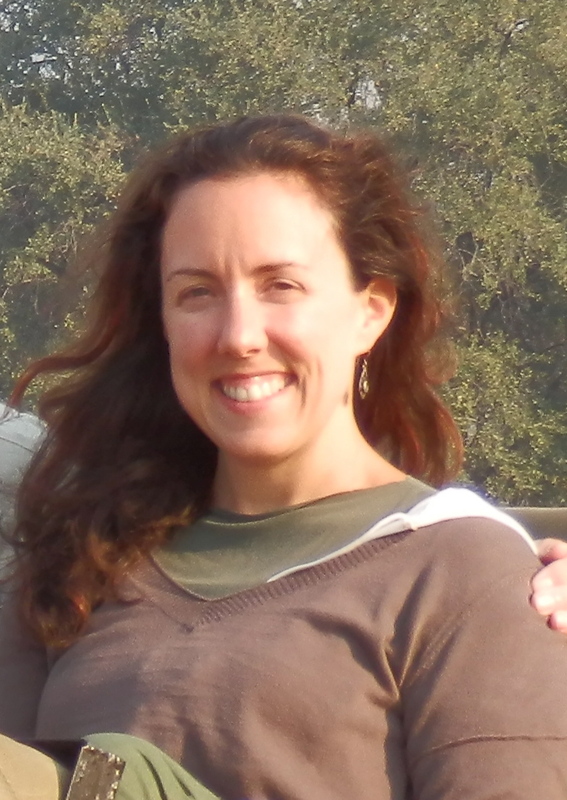 Laura did a great job leading the group in yoga & expressive movement sessions, which really made a difference in feeling embodied in the experience. The two of them make a great team. 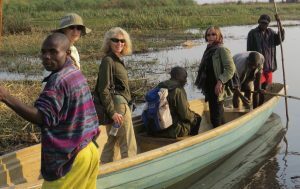 For decades I had been looking for the right safari: a combination of adventurous but safe wildlife viewing, community interaction and dialog, and learning about local culture (which was particularly important to me as an African American woman). Open Heart Safari was it! I am so grateful to Tom and Laura for putting together a fabulous group for this experience, which was the trip of a lifetime. I don’t think I would have felt this way with any other tour. 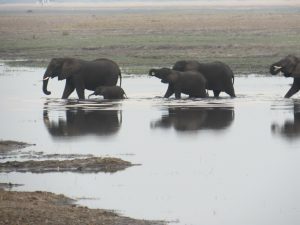 It was an incredible trip: the elephants that came to our camp, being nearly surrounded by dozens of Cape buffalo while walking in the bush, cruising down the river (pretty awesome), the ‘sundowners,’ the amazing experience of being in the bushcamp–these are things I’ll never forget ever. We saw dozens of animal and bird species, had heartfelt talks with community groups, interacted with beautiful children, and had plenty of space to express the deep and often conflicting emotions that surfaced—that were always received with an open heart. As the only African-American in the group, I didn’t feel isolated. I felt like you heard me. It was important for me to express myself in the circle and it was nice to have a group of people that allowed that to happen. I think that the name Open Heart Safari is perfect. 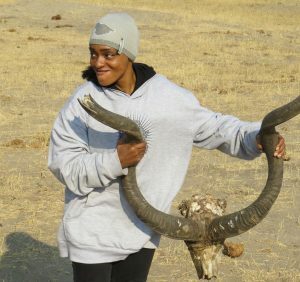 I really do feel that we all opened our hearts, and that this is a really a different and unique way of experiencing the southern part of Africa, the animals, the people, the culture. Since returning home, I continue to be affected by the trip, and its meaning continues to deepen. It’s going to take me a while to reflect on the impact that it’s had on me and that it will have on the rest of my life, because I think it will. Best trip of my life. I had such an amazing time. The trip exceeded any expectation I could possibly have had. I think it was a learning and a growth experience for all of us. I couldn’t have made up anything better than what happened. It is said that “when you walk in Africa, the soul of Africa enters through your feet.” With Open Heart Safari we walked in villages, churches, by rivers and in cities. We walked in the rawness of nature. 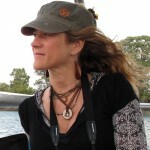 We experienced in depth contact with both people and wild animals. The soul of all of these different Africas has entered through the souls of my feet and settled in my heart. Thank you Tom for this greatest of gifts. 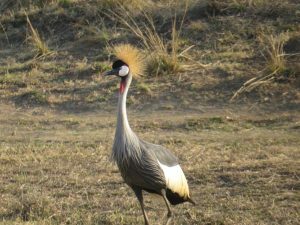 No amount of National Geographic specials prepared me for the animals we saw – fabulous animals in great numbers who live in the harsh beautiful landscape of the bush. 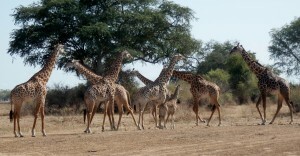 I couldn’t believe how close I was to lions, elephants, impala, giraffe, and the list goes on. I think we saw 38 species, didn’t we? And the birds – unexpected and spectacular. All the lodges we stayed at had unassuming elegance, good showers and very good food. And I liked the hippos walking through at night. There were two other components to the trip that made it unique. 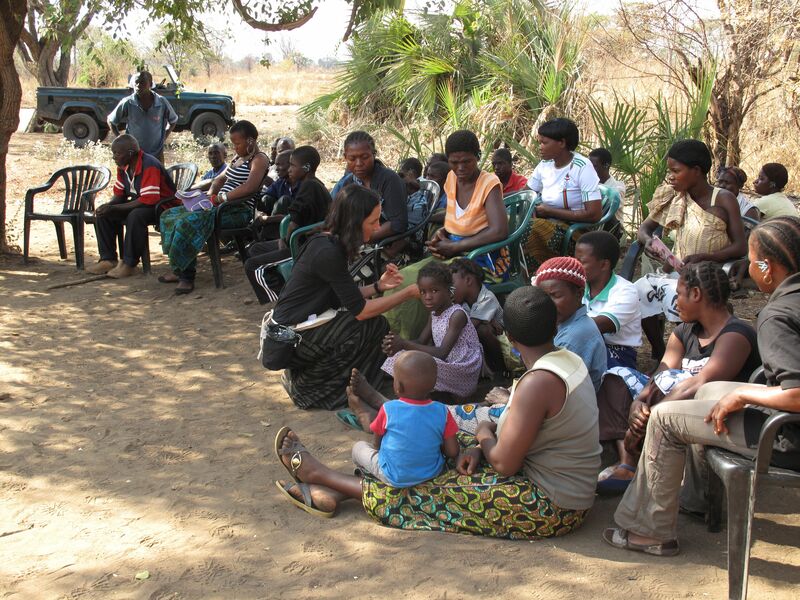 First, we met Zambians who weren’t safari guides: tribal leaders as well as grassroots change agents who are addressing the intense poverty in Zambia. A friend who went on Open Heart Safari last year described it as a spiritual journey in Africa, and that turned out to be my experience. I’m ready to go back! 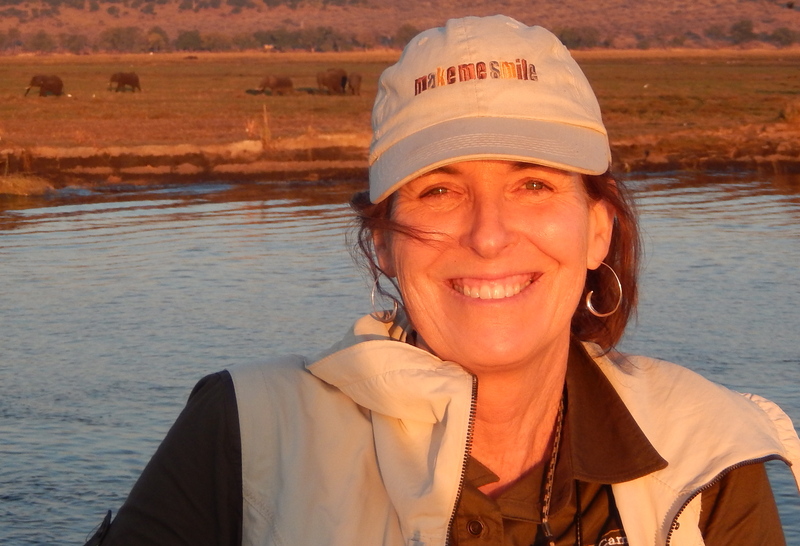 I miss the land, the people, the animals and most of all, I miss my fellow safari open hearters! I still have a hard time finding words that are powerful and profound enough to describe my experience, though the phrases “life changing” and “soul touching” appear frequently in my vocabulary. I’m so very grateful for all that you’ve done for us on this trip. I can’t imagine myself traveling any other way after this amazing life changing experience. 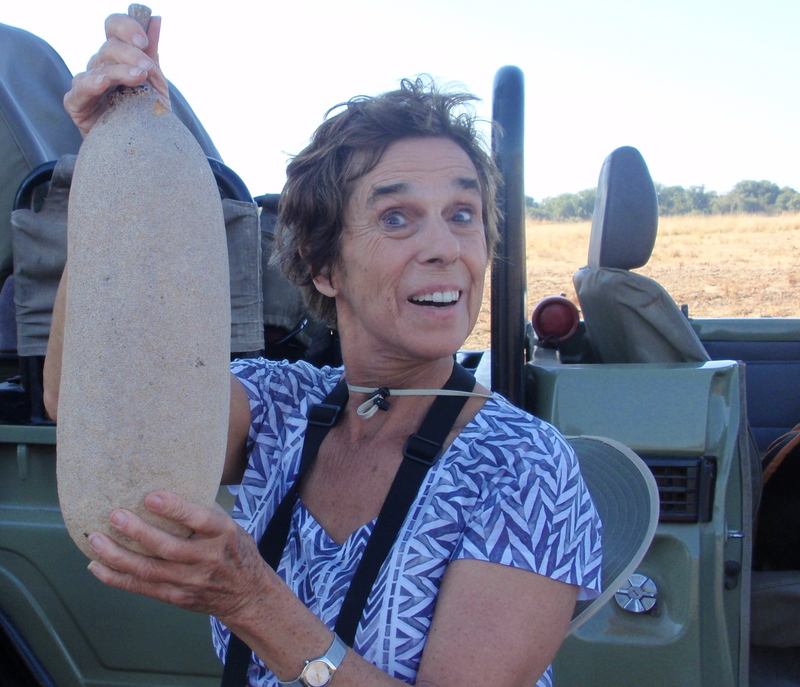 Our Open Heart Safari trip last July was truly an exceptional and amazing experience. Every piece of the trip exceeded any expectations I may have had. Every day I thought: wow, the last day was so awesome, what could this day hold? … and there was some other awesome thing. 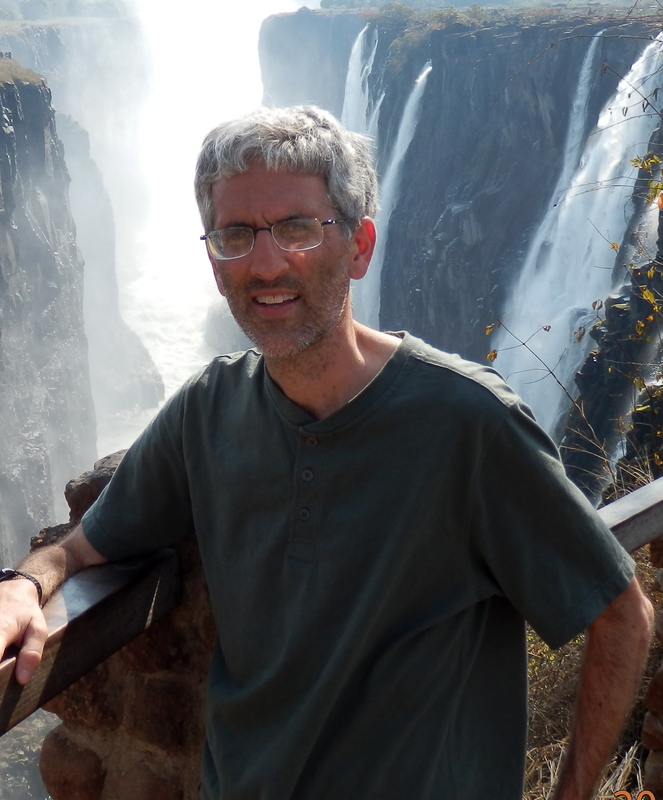 Tom helped us break through the tourist veil to engage in a more authentic way. For us that made the trip unforgettable. We came away with a sense of a place and its people. We got out of the insulating comforts of posh hotels and fine dining, to go where the locals live and hang out – that’s how we like to experience new places. 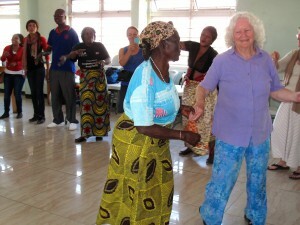 The friendships we forged in Zimbabwe continue to grow as we share news about our lives across the miles between us. I can’t let go of the idea of repeating this, going into the village and seeing people again. 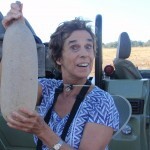 I had never considered doing a safari before I heard about the Open Heart Safari. 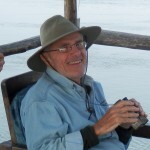 Something about Tom’s passion in describing the trip, the prospect of stunning wildlife with intentional personal and spiritual connection, and a desire to do something special for myself motivated me to sign up. This was a very big commitment for me in terms of time and money. But once the trip started, I never once doubted that I’d made a good decision. By the end of the 2 weeks, it felt as if the entire trip had been designed and executed specifically for my personal benefit. The heart-opening activities (sharing our intentions and reactions with the group, poems, meditations, and movement) were powerfully effective in opening my heart to a deep impactful experience of the wildlife, wilderness, and local communities we visited. I started the trip hoping to get some clarity on my career direction. Now at the end of the trip I feel a major transformation in my life has been catalyzed. 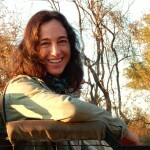 Nature: The majesty of the beautiful animals, the calm, peaceful beauty of the African bush, the expansive starry night sky, and experiencing the natural order of diverse types of animals, each with its own niche in the ecosystem, co-existing and playing their role, all helped me feel part of an amazing unified tapestry. 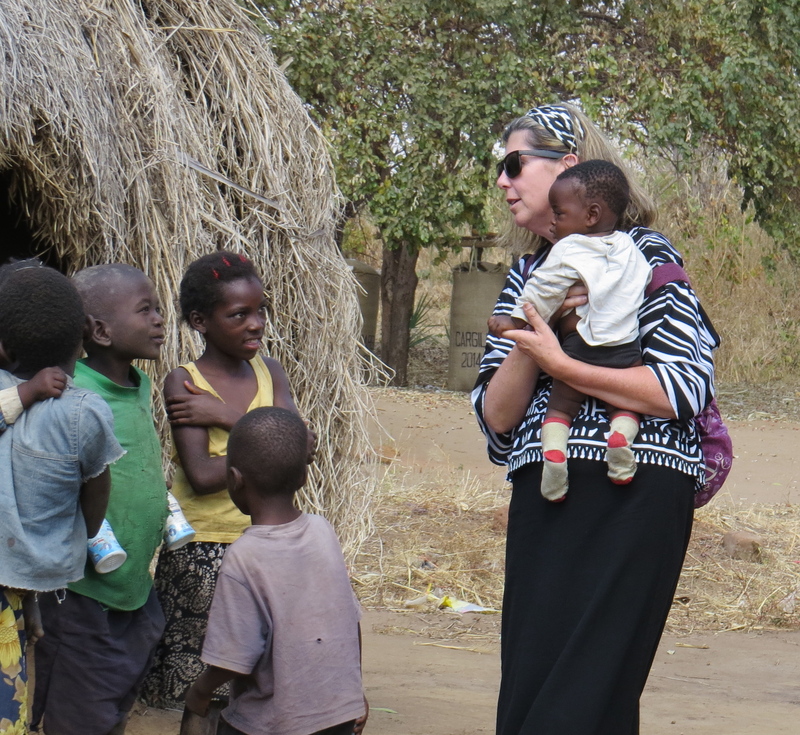 The people: It was striking how in the rural village of Kawaza, with no plumbing or electricity and few possessions, the people seemed so full of life and joy. I saw more happy people in one morning in Kawaza than I see in a year in Philadelphia. 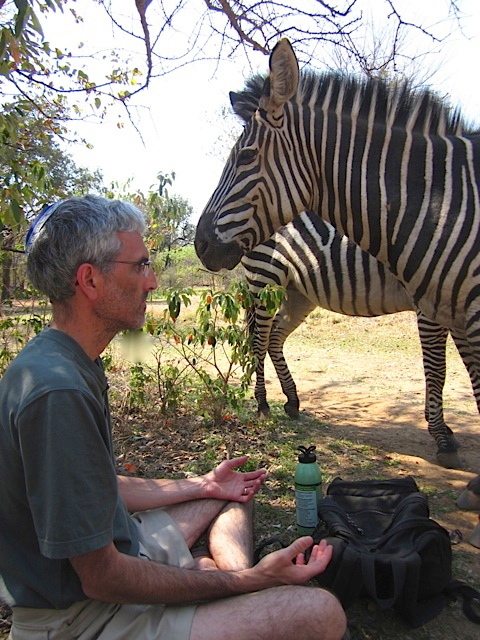 Zebra meditation: Sitting down to meditate, and after a few minutes discovering a zebra peering at me from inches away. 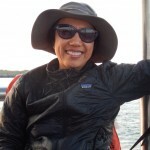 The alternating terror and accepting calm I experienced felt symbolic of changes coming in my life that will offer me the chance to get beyond fear to experience benign beautiful opportunity. The close bonds and open hearted sharing among the group helped me experience the wildlife and communities we met in a deep way. 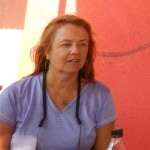 Personal Note: I continue to feel huge gratitude for the experience of the trip…. It has had a very profound impact on me.… I am definitely still deeply affected and unusually open to whatever is and whatever comes next…. 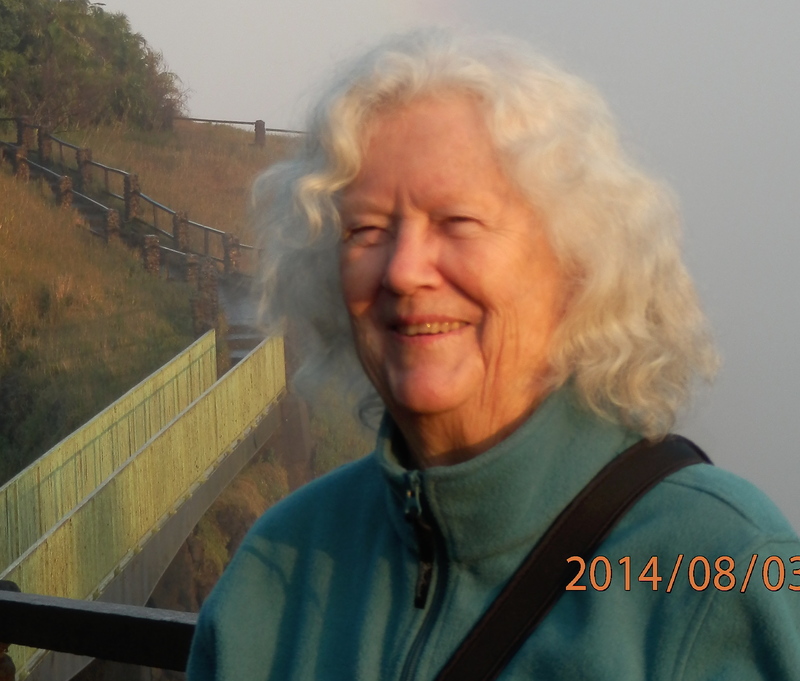 My heart has been very open…. 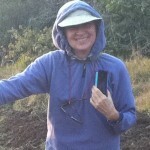 I’ve been feeling overall very loving…. [My wife is] probably as happy as I am that I went on this trip. 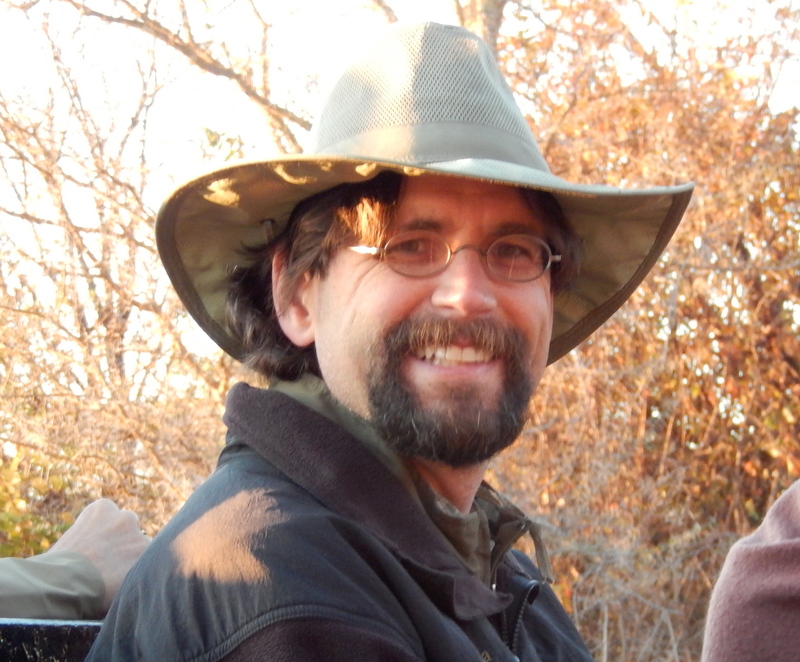 … I’d say I’m still a poster child for the transformative experience of the Open Heart Safari…. 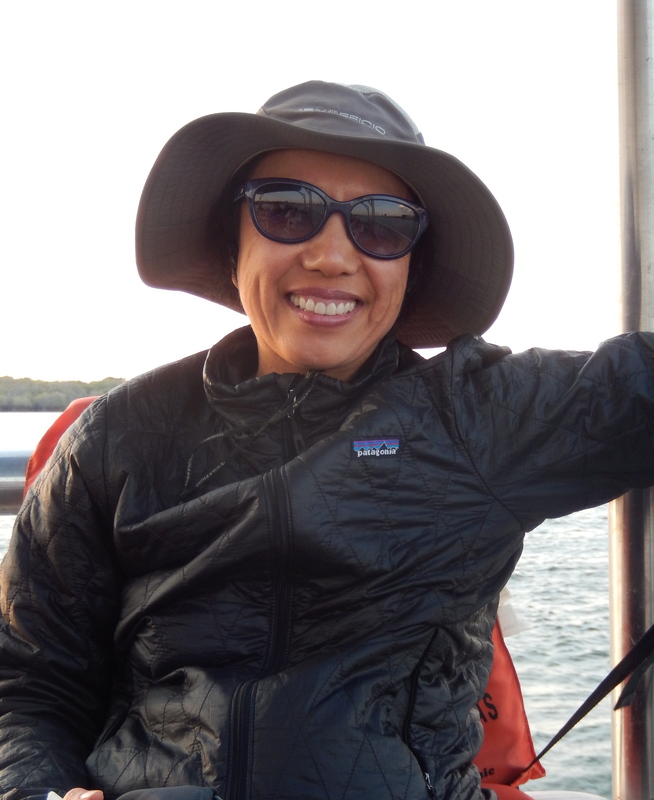 I’m grateful for your leadership, companionship, and inspiration on our trip that has continued to be with me. 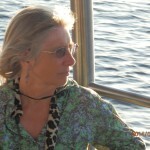 One year later: Remembering our time in Zambia still reliably brings me to a more peaceful, grateful, grounded state. From the bottom of my heart, thank you for facilitating the trip of a lifetime … an uniquely amazing experience. … No other trip compares. I got to connect with the people and the animals on a level that I couldn’t have anticipated. From beginning to end I felt safe and well taken care of by Tom and Laura and all the people they contracted with, from drivers, lodges and local villages to internal air travel and eateries. After a day of regrouping from a long day of travel at a beautiful lodge near the airport, our first day of Safari was so memorable I remember thinking I could go home now and the travel would be totally worth it! The sound in the air, the color of the sky and the abundant variety of wild animals was more than I could have ever imagined! The crazy thing is–it only got better: each day unfolded to awe me in it’s own unique way. 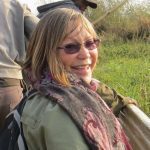 One early morning an elephant strolled by my tent and stopped to graze on the tree right in front of me, monkeys foraged around the camp and hippos sang in the river. 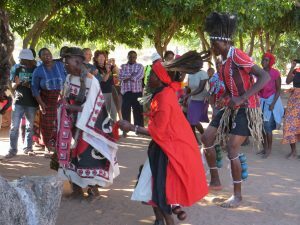 A unique aspect of Open Heart Safari is all these different levels of experiencing Africa–being with community leaders, villagers, women’s groups, activists. We met as friends throughout the whole trip. People responded to our openness, we were so welcomed. We were ourselves, we learned about the others. One night we visited and stayed over night in huts at a traditional village. The adults were welcoming, children playful, and the food delicious. Africa was a musical menagerie. It’s a memory I will carry with me always. Thank you Tom and Laura for all your efforts, beautiful dispositions and open hearts!!! This trip more than any other is one that I cherish and remember with joy and fullness. … It’s a sacred trip. You get to know people deeply quickly, and get to know things from the heart. 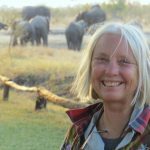 I wanted to spend time with elephants and was delighted to see large elephant families in Zambia and unbelievably large groups in Botswana. 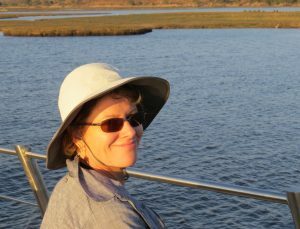 The dreamy sight of the huge herds of elephants in the watery marshlands and river in Botswana was like being present at the beginning of the world. Africa is Eden. 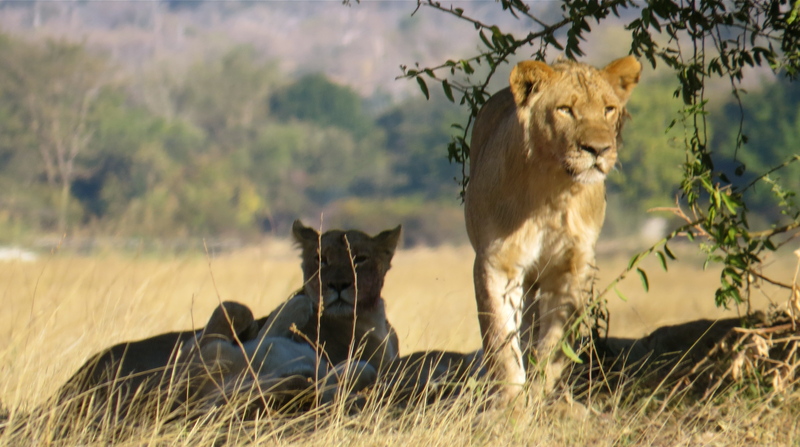 The people seemed Edenish as well, their love of living.… Whenever I revisit the trip, I feel the contentment of the lions sunning themselves by the river as my own full heart. Our experience with community people and local activists was an unexpected gift—getting to spend time learning about issues that Zambians are working on: conservation, community needs, land rights. 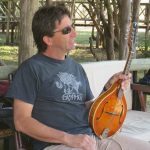 Our experience could only have been made possible by Tom, thanks to all the work he’s done with grassroots organizations in Zambia. The check-ins were very grounding. And always from the heart. My wife and I have taken a lot of great trips together, and this was probably the best one ever. 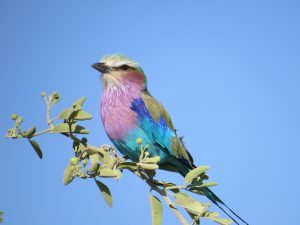 I expected to see natural beauty and to be wowed by the various African wild animals, but each day there were surprises and wonderment that surpassed my anticipations. 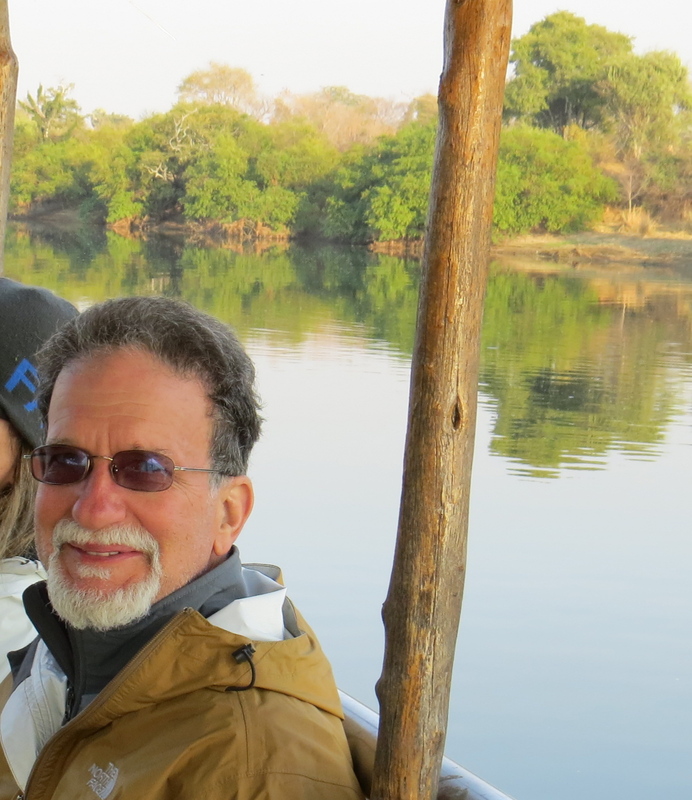 Perhaps the biggest surprise, though, came from the opportunities we had to interact with the Zambian people, through genuine and powerful person-to-person connections, many of them made possible by the relationships that Tom and Laura have developed over the years. The itinerary of the trip was well-designed and unfolded in a perfect dramatic arc, with each day revealing new excitement and rewards. It’s worth pointing out that OHS avoids the excessive luxury touted by many commercial package tours, yet our lodgings were always comfortable, the meals were very good, the small group size was ideal, and the price was extremely economical. In short, my experience greatly exceeded my expectations, and I highly recommend Open Heart Safari. 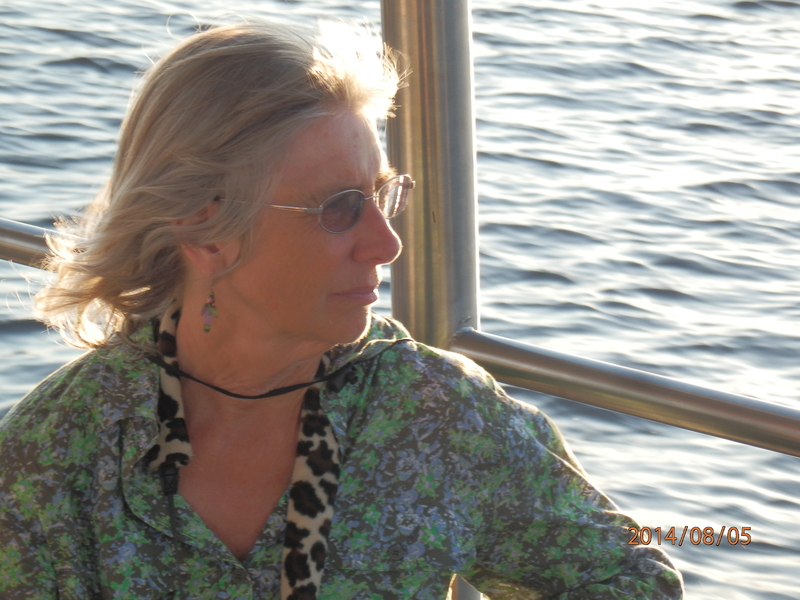 When I reflect on my experiences traveling with Open Heart Safari it is with wonder, amazement and gratitude. I was humbled, awe-inspired, touched at an emotional level I haven’t experienced on other trips. The entire trip was filled with moments where I thought, this is the ultimate, it can’t get any better and then I turned my head and something else filled my senses. The travelers who shared my journey were the perfect blend of like-minded individuals who enhanced my journey in indescribable ways. 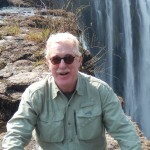 Tom did an incredible job of organizing the trip to provide an exceptional and well-balanced mix of National Park safari experiences with visiting and discussing the issues confronting the Zambian people. These encounters opened my eyes to the myriad of problems which confront Zambians, but they are some of the happiest people I have ever met – their smiles are amazing. 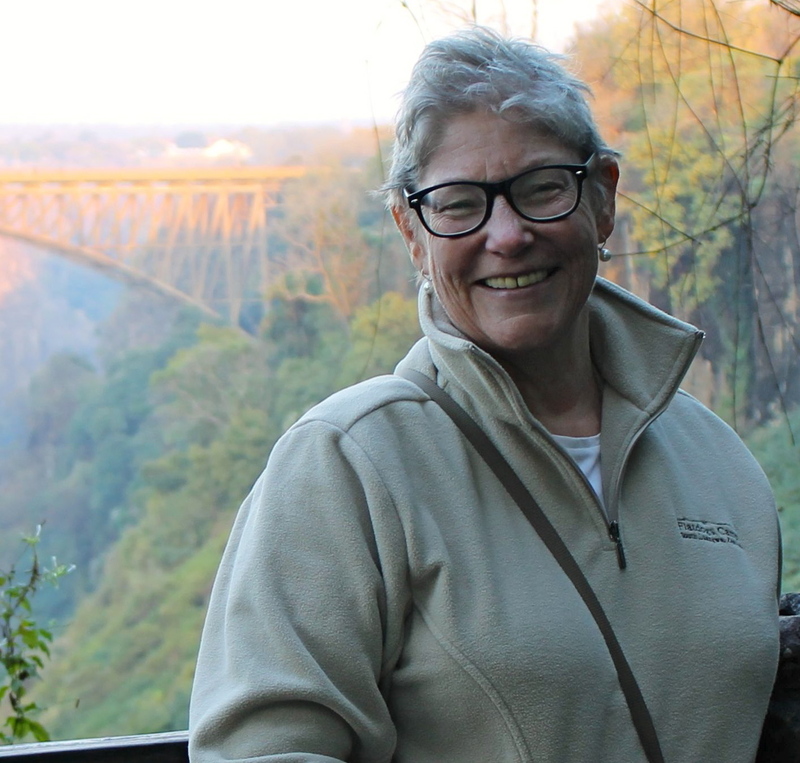 On our first day, we went to Victoria Falls so we could see the waterfall with its early morning rainbows glinting against the expanse of the Falls. The experience foretold the wonders that were to come. Seeing the animals and birds in their natural habitat with all their diversity left me with an even stronger desire to protect the environment so these amazing creatures will be here for future generations. 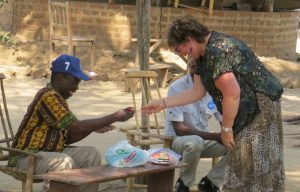 Tom and Laura were incredible throughout the trip sharing their caring compassion and insight into Zambia and its people. I loved our group circles where we shared on our experiences as they helped to crystalize my thoughts more firmly and allowed me to view these events from different perspectives, further enhancing the journey. Open Heart Safari to Zambia was wonderful beyond my expectations and, as its name implied, created both an open-hearted connection to the people through visits to local settlements and villages and the experience of safari with exciting days spent viewing more animals than I thought possible to see so up close and personal. The combination of the safaris and Tom’s personal connections and development of relationships in Zambia – I think that’s really special. It’s obvious to me now that Tom has developed this so we could open our hearts, not just be tourists in a strange land, but come to understand some of the issues faced by the people in this country, so that this part of the world becomes more connected in some way to our own, so that the world is able to open up a little bit more to us all. This was a truly memorable experience (and at an affordable price!). There is the great surprise to be found around every curve in the road that makes the experience so awe-inspiring — suddenly there are a large group of elephants walking down to the water of various sizes, from baby to great monumental sages, or on a hillside there are elegant giraffes you could almost touch or you see a large number of sprinting impala. The trip was very special. OHS is much more than a safari. 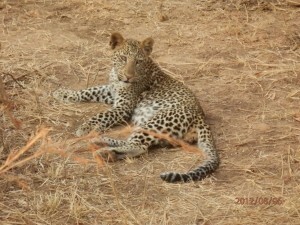 It provided me with what I needed to experience Africa at its finest. I was able to open my heart to a whole ecosystem that captures the spirit of human beings, animals and nature in a way that gets in your heart and you have a mindfulness experience. Watching elephants walking into the sunset, or a group of lions eating a buffalo very close to us, hearing about the daily problems in the village, learning about we can do to prevent poaching, practicing yoga with Laura, listening to the poems read by Tom, and allowing it all to penetrate in your heart…this is what I call a mindfulness experience. Open Heart Safari will change your life in subtle and profound ways. There were three things I hoped for in a trip to Africa. Open Heart Safari offered me the chance to experience all of them: 1) the thrill of seeing lots of wild animals in the bush, 2) the enjoyment of meeting local people and learning about their culture, and 3) the satisfaction of being of service to the continent in some way other than spending my money there. 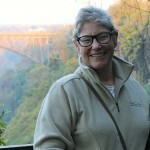 Through Tom’s planning and connections and Laura’s compassion and energy, the trip fully met my expectations – and more. 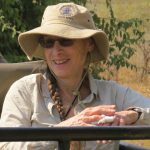 It’s the “more” that has me daydreaming of Africa over a month after my return to the U.S.
An unexpected highlight of the trip for me was the frequent circles, or debriefs, our group enjoyed. 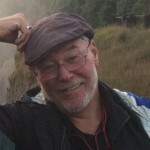 Lucky for us, Tom is a masterful group facilitator. He modeled openness and sensitivity and allowed each group member the space to express ourselves safely. There is something so affirming and yet astonishing about sharing your perspective with a group of people who have spent the day in the same activities as you but each taking away a surprisingly different experience. It enriched me. Tom and Laura really care about Africa and they care about you having an authentic experience of it. Every game drive, every meeting, every encounter is infused with their enthusiasm and heart – on your behalf. My long anticipated visit to Africa has not left me checking it off my bucket list but rather verifying that the old saying is true – the trouble with Africa is that it has gotten in my blood. 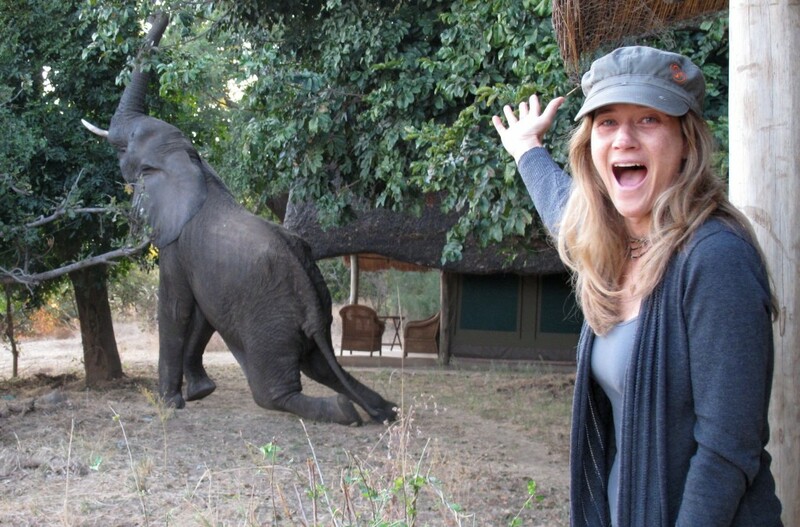 Personal Note: The best single vacation day I have ever had in my life was the first day at Flatdogs with the afternoon drive and my first experience with African wildlife, especially the elephants. Tom has pieced together a magical journey through a majestic land. 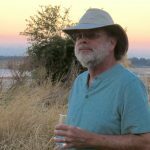 Each experience built on the last, and was clearly ordered very intentionally to create a deep and rich understanding of the land, the animals, and the people of Zambia. Being in the presence of such diverse and abundant commanding wildlife in their natural setting living their natural lives is an experience like no other. 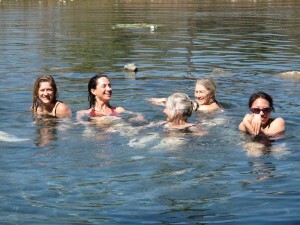 And sharing it with like-minded open-hearted travelers added even more depth and meaning to the adventure. Tom’s connections and history with leaders in the field of conservation and people’s empowerment allowed us all the unique opportunity to meet and talk with fascinating individuals and groups throughout the country. 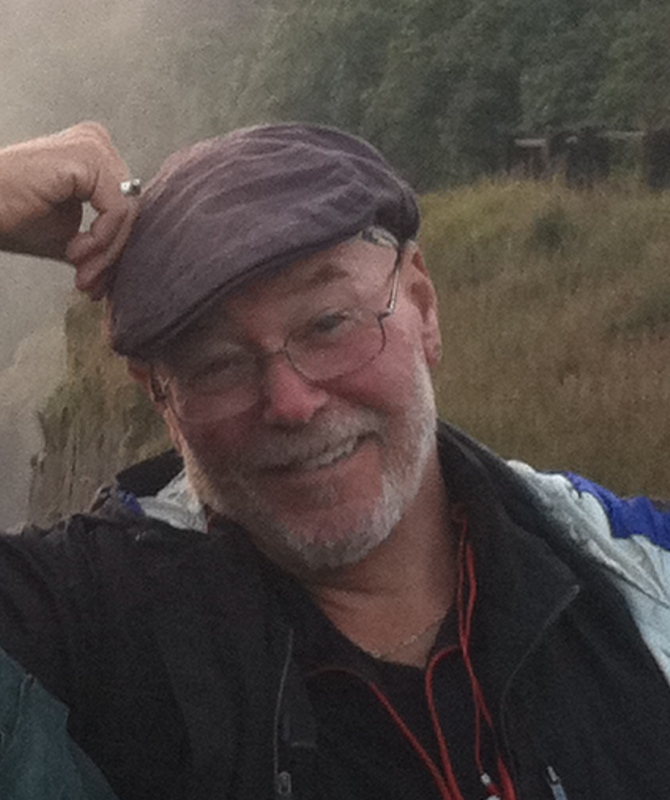 I am forever grateful to Tom for so carefully putting together a journey that surpassed anything I could have imagined! 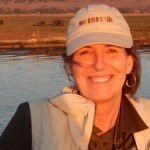 Traveling to Africa with Open Heart Safari was so very rewarding. I found the countries we visited to be loving, kind and welcoming I was constantly surrounded by people, places and things that gave me new perspectives, challenged my comfort zones and showed me beauty in its simplest of forms. 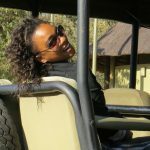 This trip was humbling to my Chicago ‘city girl’ spirit by experiencing many new situations including a week long stay in a remote African village in Zimbabwe living with the local community and staying at a bush camp in Botswana. The trip has given me a more global perspective on the world and its people. I left Africa with a longing in my heart to combine my passions and make a positive impact on the world but I am still learning just how I can make this a reality. 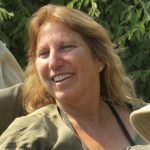 The lasting memories that I will cherish forever were the abundance of unexpected multi-sensory experiences with the African wildlife and the many African people we met. My self-discovery was learning to appreciate life as a gift and be open when opportunity presents itself. 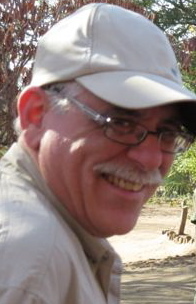 I just think Open Heart Safari–the whole idea and the way it happens and the people it attracts–is fantastic. It has allowed me to get so much more out of this trip than I ever have traveling anywhere else, even though I go off the beaten path of tourism wherever I go. This was as deep an immersion as we could have in the time we had. Tom and Laura were deeply sincere and caring — about each of us in the group, the environment and its people and circumstances. Their commitment to our experience every step of the way made it safe for everyone to express their feelings at any given moment. 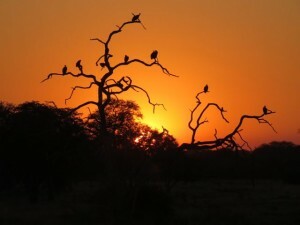 Thank you so much for a deeply felt experience of Africa – the wildlife was thrilling, the accommodations and food excellent, and the human connections were real and will be lasting. This is the way to travel. 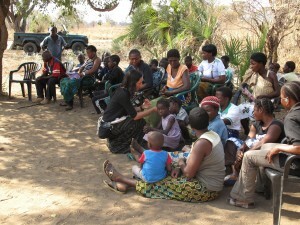 My experience on OHS in Zambia was exceptional. I’m really grateful. 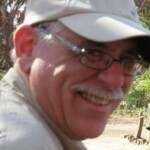 Visiting Africa was extremely powerful. It is a totally different experience to see the animals in their home and not in an artificial environment (a zoo). 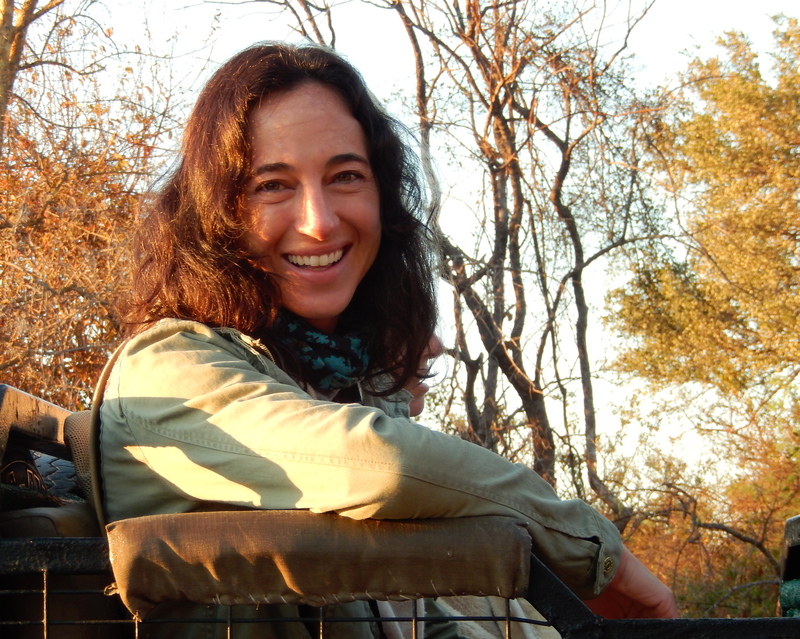 Balancing that experience with structured forays into southern African cultures made for an adventure I am still joyfully processing … with gratitude that I chose this particular tour. Tom and Laura understand and embrace Africa in a deep way that I don’t think you can find on a standard commercial safari. Their attention to the effects of this very intense experience made me feel emotionally safe. I was also really impressed with the quality of guides. There were gifts I had not expected: experiencing such a thoroughly different place with like-minded people. The members of our group shared an almost childlike wonder and respect and awe about the land, the people, and the animals. You bond with people who have shared such a powerful experience. I am struck by how the experience continues to be present in my life. I find comfort in knowing that there is part of this world that existed before us and, hopefully, after us as well. I find myself thinking more and more, deeper and deeper, about my connection to the continent where man was born. 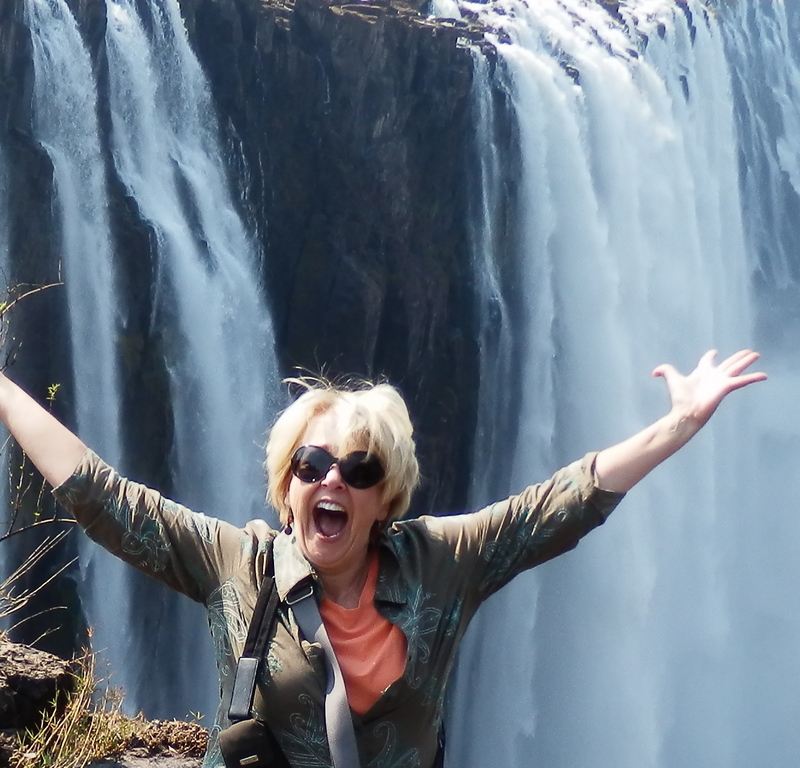 My two-week trip to Zambia was thrilling and fantastic. 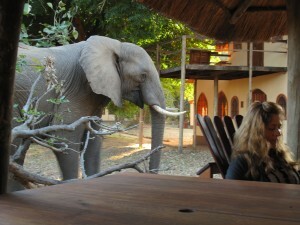 Almost immediately upon our arrival, I saw an elephant wandering through the grounds of our lodge. I was so amazed to realize that we were located right in the middle of the wild animals’ habitat! There were so many exciting things: the passion of the dedicated wildlife guides; a pride of lionesses stalking some cape buffalo and giving chase right in front of our jeep; stopping to watch a group of giraffes, being mesmerized by the way they move, enjoying their alert eyes and ears; watching a leopard walk right in front us, thrilled to see this beautiful, graceful, somewhat reclusive cat. I laugh every time I think of the hysterical and endearing warthogs; I was captivated by the zebra and loved looking at their stripes. I felt privileged to be a part of it all. All this would have sufficed, but we were also introduced to local people in intimate settings – getting a chance to see how they lived their lives and start to appreciate their reality. 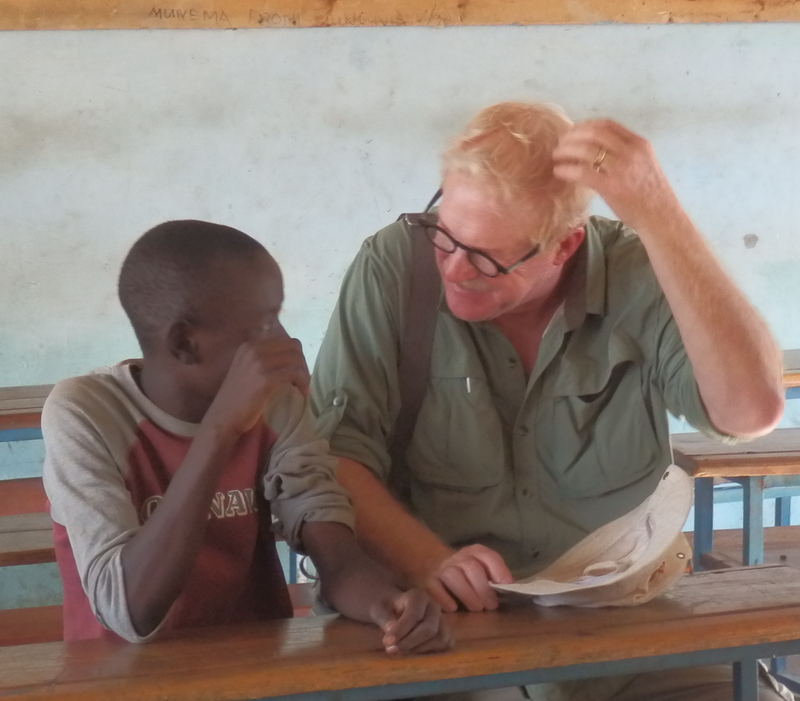 Tom has had close contacts in Zambia for many years, which afforded us the opportunity to meet and interact with local villagers, community organizers, and local conservation activists. This was such a deep and moving experience for me. It was enriched and heightened by sharing it so intimately with the group. We had a lot of fun together, laughed a lot and bonded closely – all enhanced, in turn, by the magnitude of what we were experiencing together. 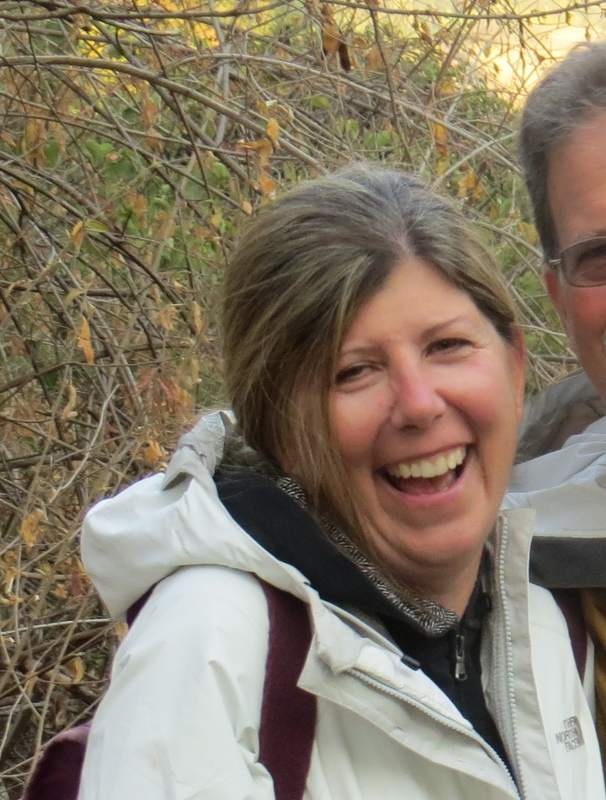 It’s hard for me to imagine that we could have as rich and full an experience without the insights, guidance, connections and organization offered by Tom and Laura. I treasure the fact that I took the chance on this trip. … I’ve come home feeling fulfilled, peaceful and satiated – and thinking about returning some day. 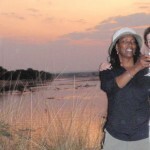 I am on an incredible journey inspired by your love of Africa. 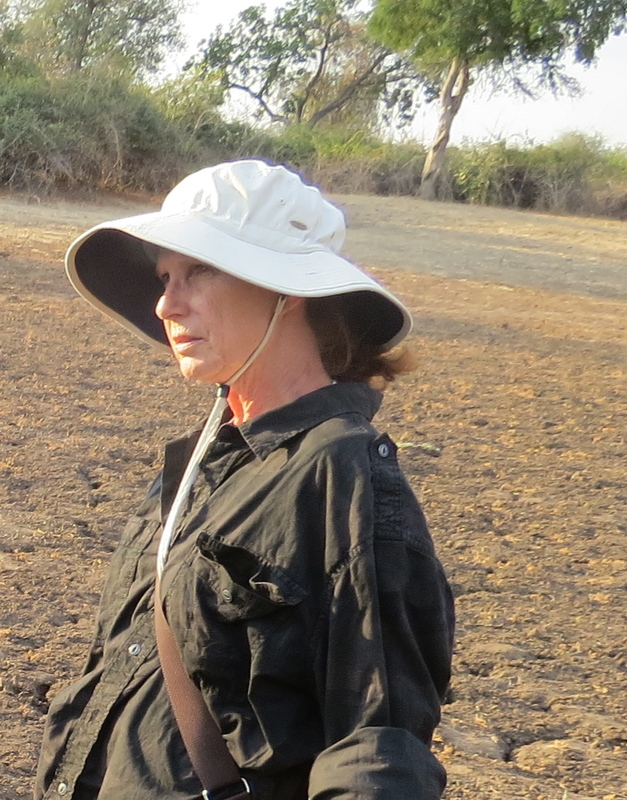 Seeing wildlife wasn’t the biggest motivator for my participating…I wanted to have intimate encounters with as many aspects of African life as possible. The way you structured the trip made that possible. Not only did we meet/engage with a lot of indigenous folks, see a lot of flora and fauna, do urban and rural unvarnished (for the most part), but we had time for self- and group reflection. I was a tourist but I didn’t feel like one. You make a great team for pulling off such an ambitious venture. Tom, you are motivated by your heart and soul; Laura, you have compassion, intuitiveness and emotional intelligence which worked well to keep our ship afloat. I appreciate that OHS is not a ‘well-oiled machine’ which made our adventures much more real. I’m so grateful that I came. The impact of this experience was really wonderful. It keeps resonating. 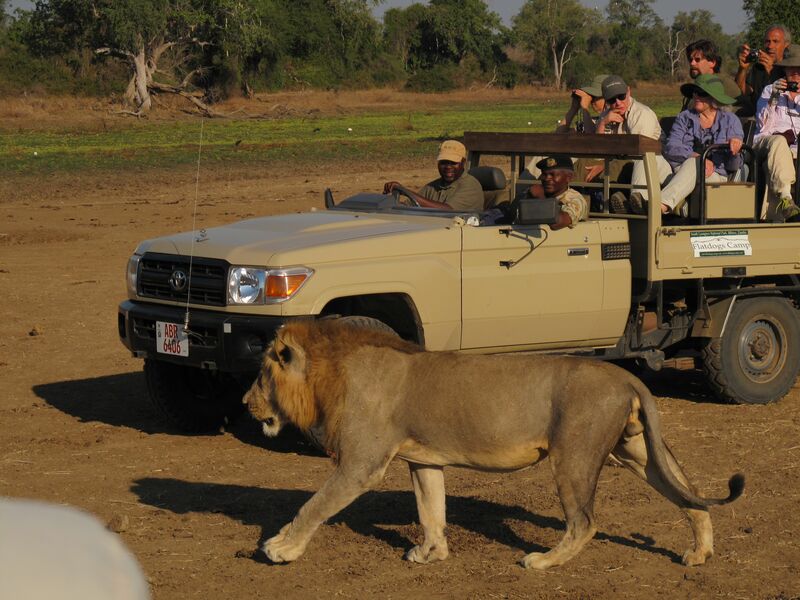 The safari experience exceeded our lofty expectations. 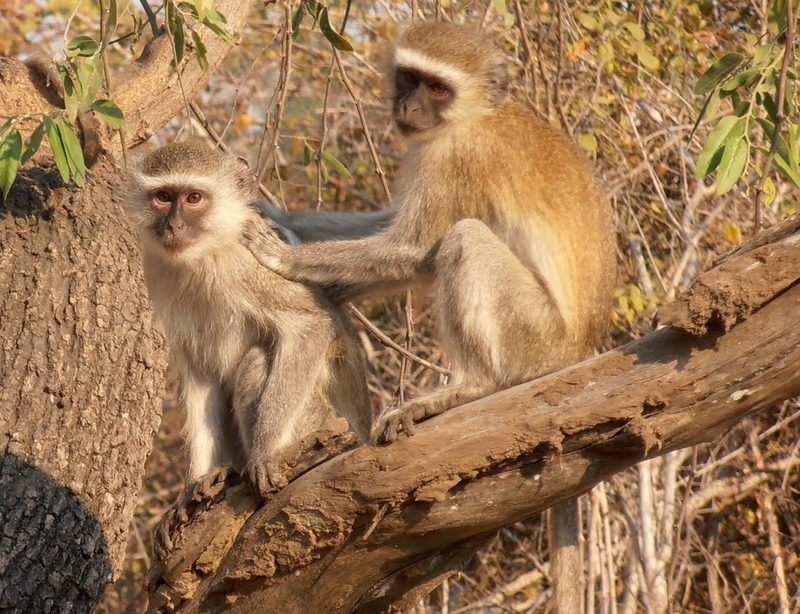 South Luangwa National Park is teeming with incredible animals — so abundant, varied, natural and free, beautiful, graceful, powerful, funny, accessible and exciting, not to mention photogenic! Kafue is remote, wild, scenic and exciting. We missed nothing by passing up Tanzania except the crowds. And we gained a day at Victoria Falls, which is worthy of anyone’s bucket list. What sets this safari apart, though, is the human interaction, both with the local people and with our travelling companions. 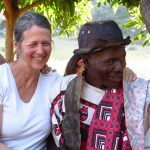 A day and an overnight in a thatched-hut village out in the bush mixing with the people, two days and an evening with young people and adults deeply involved in grass roots community development and conservation. Opportunities almost every day to reflect and share within our group on what we were doing and seeing –always with lots of laughs. 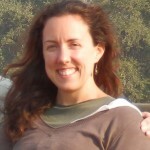 Periodic yoga and other movement, skillfully led by Laura and suited to our capabilities. We had some great conversations and look forward to staying in touch with one another across the country. Who knows, maybe even a reunion somewhere! This was a great trip, a great way to take me out of my comfort zone. I’ll always remember it. As a musician and wildlife biologist with a penchant for birds, this trip was very enriching. 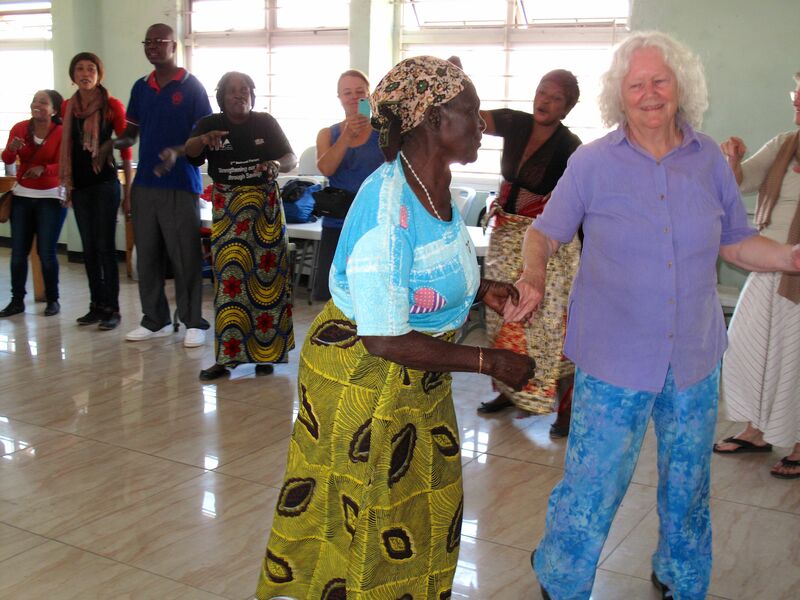 Sharing music in the Shona village was a powerful experience as they incorporate music into a lot of the community activities. What was so different about music there was how everyone participates. It was a unique experience in that it wasn’t treated like a performance. Armstrong, our guide in Hwange National Park, was amazing in how he could identify all animal and plants species and tell stories of their life history. 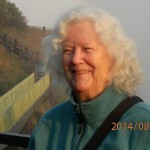 It is very unusual to find anyone with such broad knowledge and grasp of animal and plant life histories and how they interconnect. We couldn’t have asked for a better guide. As a result of Tom’s late night inspirational rendition of Willie Dixon’s ‘You Can’t Judge A Book By The Cover’ in the village, I came home, polished up my version and added it the set list for my next gig. Tom ROCKS! Thank you for convening this amazing experience. Your open hearts invited us to open our hearts to the people, land and one another – in addition to the beautiful wildlife. This experience has indelibly changed me. The trip the two of you convened is, I think, a way of experiencing Africa in a really rare way. I think about going back, but it’s hard to imagine going back without the two of you and what you convene and create and the people we met there in addition to the amazing animals. … We will go back. Thank you. It was incredible. Safari is a Swahili word which means journey. 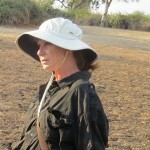 For me this safari turned out to be a journey of self discovery as well as a study of the native wild life. The trip is designed to make sure that the experience is one that will have a significant impact on the participants. You will be cleansed of preconceptions, your values will be challenged and changed, your emotions will be jolted, there will be tears and laughter, and possibly some sheer terror depending upon your reaction to up close and personal encounters with Nile crocodiles, full grown six ton elephants, and a hippo named Lucas who may just sleep outside your door! And believe me, your heart will be opened. And perhaps best of all, you will become, as I did, close friends with and share some unforgettable experiences with a group of like-minded people who care deeply about the enjoyment of nature and wildlife and the preservation of one of the last truly wild and natural places on our planet. Don’t miss an Open Heart Safari. Put it at the top of your bucket list! Tom is right. THIS IS NO ORDINARY SAFARI! Personal Note: By the way, did I tell you guys the safari was the most emotionally moving experience I’ve ever had? Well it was. It is very hard to talk about a once in a lifetime trip. This was not a vacation but an adventure and as an adventure it continues to unfold. Each time I tell a story from my OpenHeartSafari I am able to see more of what this trip meant to me. 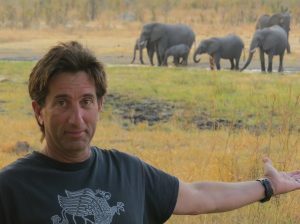 First, it was not the animals that became the highlight of the trip, even though that was great – it was the group I was with. We had deep conversations about race, privilege and natural selection, though that seems vague at the moment to say. In the face of Africa and what we were seeing and learning from some incredible guides, how did we as humans develop as we have? It was these talks at dinner, in the vehicles, on planes, that were the trip. Second, seeing Africa was in and of itself amazing! All the pictures of kids or women carrying baskets on their heads, pumping water from wells, kids with beautiful big eyes, was all there. It was not just in National Geographic or Life Magazine. It is real and incredibly alive. Third, I went with one of my brothers. I had not traveled with him since we were kids. Being with him was a joy and profound. I got to see him shine in ways that I would never have at home. He was fun and funny and had the trip of a life time. There is so much more. As my time at home evolves I see more and more what this trip meant to me. How I relate to my world has changed. I move slower. I eat differently. I hear more deeply. I want to thank you Tom and Laura for really putting together a thoughtful interaction with the environment and culture. I want you to know I had an incredible time. GREAT JOB! It was a great trip. I knew when I was on the trip that I would want to do another trip to Africa with Open Heart Safari in the future. 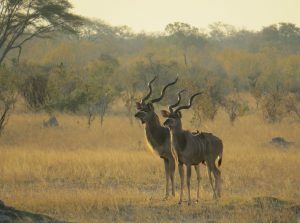 The attention to accommodations, restaurant choices, safari guides, and coach travel through Zimbabwe and Botswana made my expectations for the trip a reality. Our group’s immersion in the Mazvihwa village and the warm acceptance by the people there showed me that traveling with an open heart is the only way to go. It was wonderful to be there… and actually meet the people and see the animals. 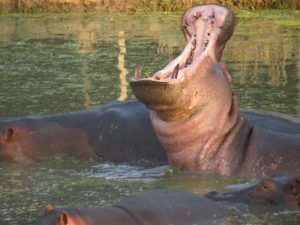 And to start off the trip, waking up to hippo “laughing!” Who would have thought their noises could be so joyful? Or being scared with lions roaring outside my door! And traveling with such caring people. It was more, much more than I anticipated or expected. Thank you all for experiences to ponder this lifetime. My heart is overflowing. A funny thing has happened now that I am back home. When work gets intense, when the traffic backs up, when my laundry starts to overflow, I go to that special space inside of me that was not there before my Africa experience. 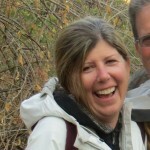 I remember the loud lion exhale that Laura taught us with outstretched tongues. I smile. 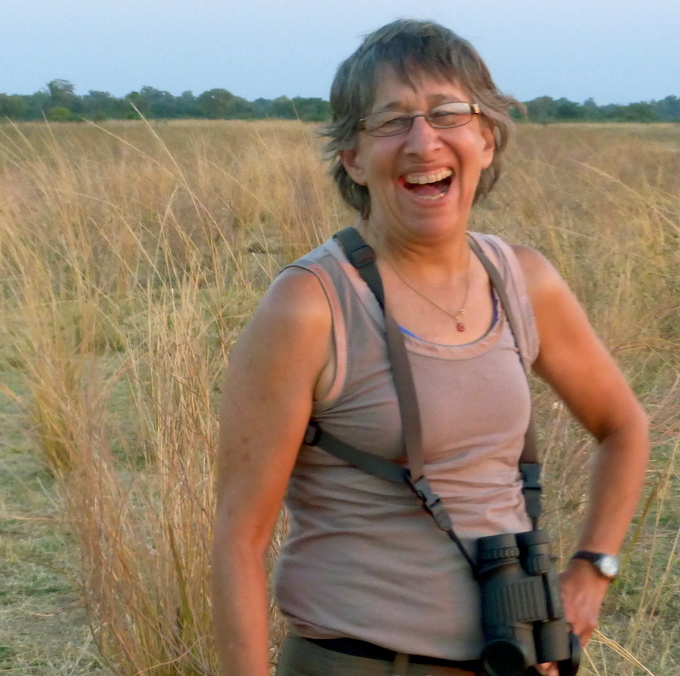 Then I let myself feel the stillness that I have not felt anywhere else on earth, and again hear the cacophony of bird sounds, the faint alarm whistles of the impala and the snorting HA HAs of the hippos that my ears learned to anticipate with relish. I recall the overnight in the village when spontaneous dancing erupted in the kitchen. When we visited the community leaders, it felt more like a delegation than being tourists. This week my refrigerator went out and the shower handle broke off. But it didn’t matter. I’ve been to Africa. I learned to maneuver the unique Zambian handshake. I ate nshima with groundnut stew. I danced down an aisle of clapping hands with community organizers. And I saw animal creatures of unfathomable beauty and enormous wonder. 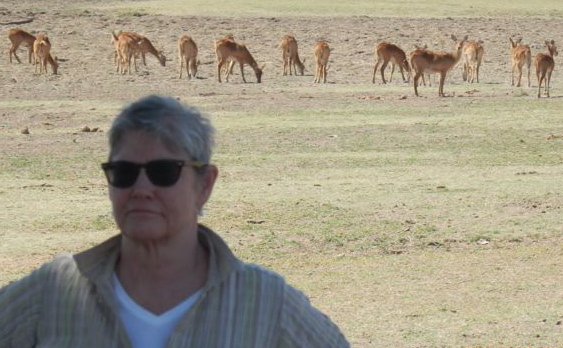 Thanks to my trip with Open Heart Safari I’ve felt a connection to the earth and to other fellow earthlings that leaves me with something very, very peaceful and very still. Our sense of community both before and during the trip was profound. I really appreciated how Tom and Laura organized conference calls in advance of the trip where we got to know each other. It was a very effective way of starting a community, and that continued throughout the trip. Our conversations were powerful and helped us integrate our experiences throughout the trip, so that we could enjoy the people and the land in a way that was so much richer. And then our sense of the communities we were experiencing was really cool. 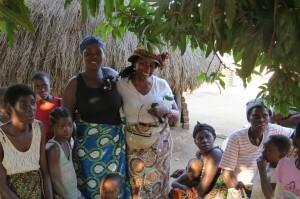 We got to meet local people and we started off …. wanting to give them our good ideas, … and by the time we were done, we were just sitting back and listening IN AWE to them talk to each other … people who really knew what they were talking about. The animals were fantastic and the way that the trip was organized helped us to explore that. I show everyone the video of the time we were sitting in the meditation pavilion and there’s an elephant walking 270 degrees around us, grazing and eating the tree next to us … a few feet beside us as we’re sitting in awe. And this thing is as big as a bus! That’s how close we got to an animal that was wild, wild. It was amazing to watch the wildlife and meet the people, and to experience that in a community that was a safe container with committed people. It was so satisfying and fulfilling. I was just blown away. 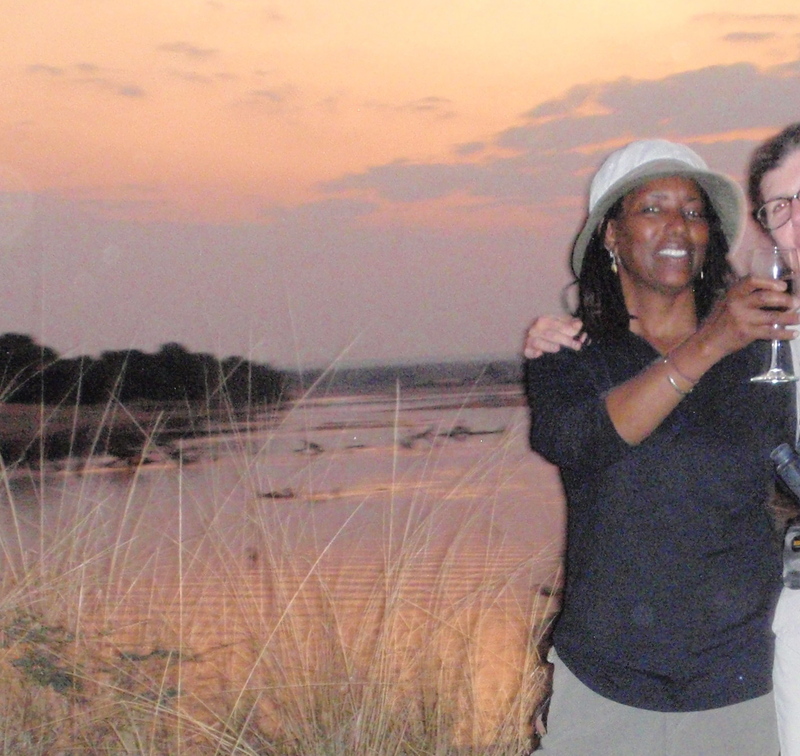 I want to thank you both for everything you did to make the Zambia/Chobe safari an incredible experience, by turns exciting (elephant charge! a lion’s roar! ), thought-provoking, soothing (e.g. 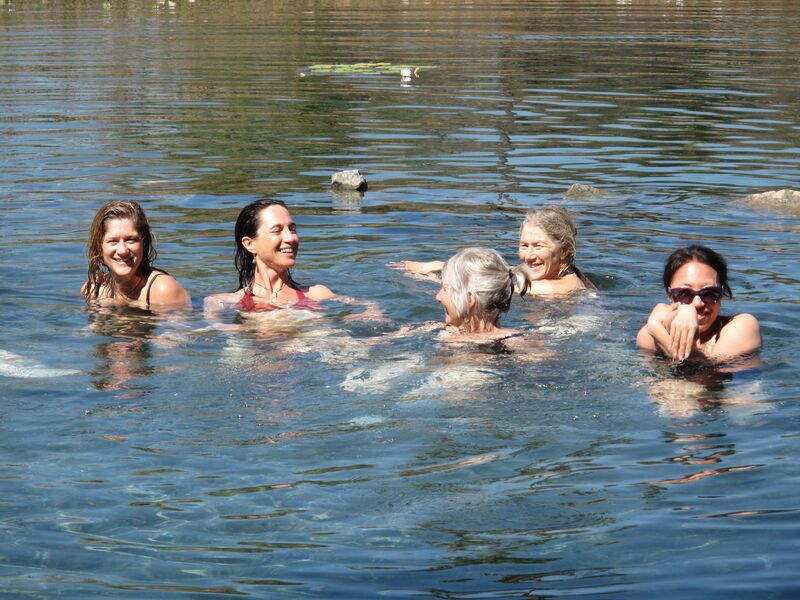 yoga, meditation, the mineral spring), and more. I’m really grateful to have come and was exposed to so much more than a typical tourist-type safari. It’s going to be percolating for a while, and has definitely sparked an interest to learn more. I would follow Tom Bennigson anywhere. He is a very genuine person, full of thoughts … about Africa, philosophy, poetry or politics. 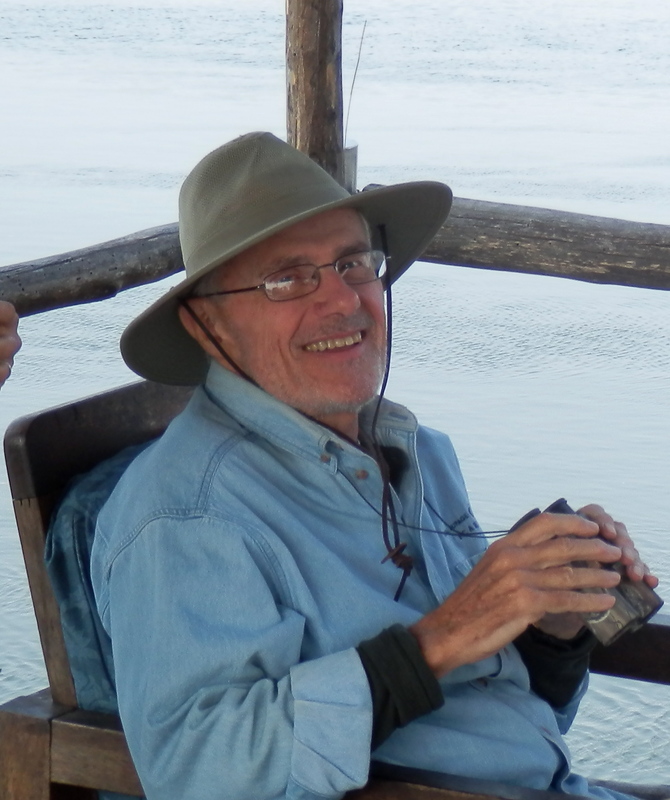 He has also been studying Africa for many years; his commitment to Africa dates back at least 30 years. Lucky for us, Tom has started taking others on tour with him. Tom’s wife Laura rounded out our tour with caring and yoga, both of which were essential for our team. She was so sweet and reassuring. 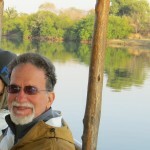 Tom and Laura led us through parts of Africa that were beautiful and remote. The animals, the birds, the landscape and the people were extremely compelling reasons to get up in the wee hours of the morning. For me the trip was invaluable. I am changed and grateful.